You don't have to drive too far in Devon to see a wealth of different scenery. From red cliffs to yellow cottages, country churches to city cathedrals, quiet rivers to stormy seas, quaint villages to fashionable seaside towns. According to Wikipedia: "Devon is the only county in England to have two separate coastlines; the South West Coast Path runs along the entire length of both, around 65% of which is named as Heritage Coast. Devon has more mileage of road than any other county in England... Inland, the Dartmoor National Park lies wholly in Devon, and the Exmoor National Park lies in both Devon and Somerset. Apart from these areas of high moorland the county has attractive rolling rural scenery and villages with thatched cob cottages. All these features make Devon a popular holiday destination. In South Devon the landscape consists of rolling hills dotted with small towns, such as Dartmouth, Ivybridge, Kingsbridge, Salcombe, and Totnes. The towns of Torquay and Paignton are the principal seaside resorts on the south coast. East Devon has the first seaside resort to be developed in the county, Exmouth, which marks the western end of the Jurassic Coast World Heritage Site. North Devon is very rural with few major towns except Barnstaple, Great Torrington, Bideford and Ilfracombe. Devon's Exmoor coast has the highest cliffs in southern Britain, culminating in the Great Hangman, a 318 m (1043 ft) "hog-backed" hill with an 250 m (820 ft) cliff-face, located near Combe Martin Bay. Its sister cliff is the 218 m (716 ft) Little Hangman, which marks the edge of Exmoor. The beaches of Bideford Bay (Woolacombe, Saunton, Westward Ho! and Croyde), along with parts of North Cornwall and South Wales, are the main centres of surfing in Britain." Great work on this gallery , photography that freezes the eye to every image. Compositions seen with and artistic eye and camera execution that delivers lovely images. After the shot work is brilliant and every image delivered with pride. C'est une splendide galerie, les photos sont réalisées avec beaucoup de talent. Le HDR fait ressortir les détails et les couleurs et vous l'avez appliqué avec beaucoup de savoir-faire. C'est excellent. Stunning work. You have a great eye for composition. Voted! Really well done HDR processing...great tones, lovely compositions! A beautiful gallery and a wealth of interesting information. Well done Chris a pleasure to see your work. Photos pull at the heart strings. From a family in New zealand that used to live in Gods own. ABSOLUTLY beautiful. Keep up the good work. Now sure why I've not come across your excellent Devon work before, as we are operating in a similar area. I've added you to my favourites to keep an eye on your new work. WOW, these are amazing photos by a skills photographer! Excellent work, with the images! EVERY SINGLE ONE is a masterpiece! Awesome gallery! 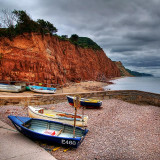 fantastic collection of HDR's :o) great by all the ways Chris ! compliments :))) Big V~! Actually I'm no fan of HDR,but these images changed my mind! Every one of your captures here Chris, beautifully brings to life your scenic Devon. What a stunning area to have close at hand. I like very much your skilled and restrained use of HDR, in compensating for the cameras limitations in seeing as our eyes would see. An excellent gallery, full of outstanding landscapes of a particular beauty. Fabulous work, Chris ! BV. Beautiful Gallery!, Really impressed with the HDR quality, Voted! Great work!! Excellent compositions and details V.
Your work is great, Chris! Thanks for sharing. really love your work, will come sometime for a workshop.